From the summit of kunanyi/Mount Wellington to Hobart’s scenic waterfront, this is the ultimate bike riding adventure experience. Starting from Hobart’s waterfront you’ll head to the summit of kunanyi/Mount Wellington for spectacular views across Hobart and southern Tasmania. 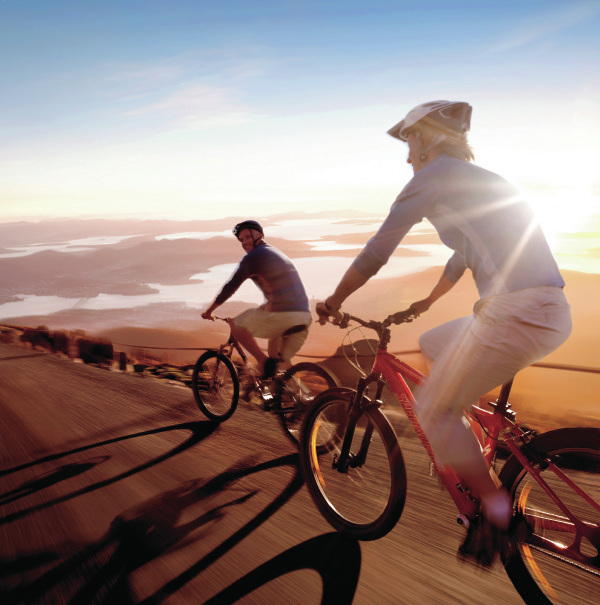 After soaking in the views you’ll experience Tasmania’s ultimate downhill bicycle ride – from 1272 metres to sea level. Along the way this 21-kilometre guided journey captures contrasting landscapes, from subalpine and mountain rainforests to the vibrant waterfront of Hobart. For the more adventurous an optional off-road section is available. This tour is suitable for anyone who can confidently ride a bike, is over eight years old and measures a minimum height of 140cm. Under Down Under Tours specialises in small group adventure tours throughout Tasmania and for over 20 years. This Tasmanian-owned company operates from a Hobart base but they know just about every inch of this amazing state. Under Down Under Tours is an accredited Australian Tourism Business and has won numerous awards.